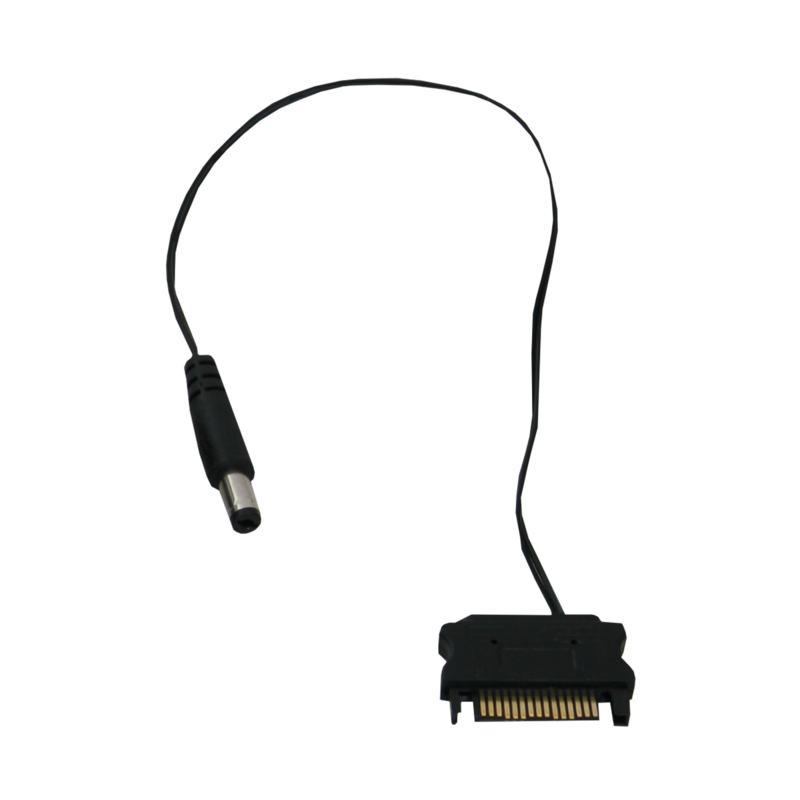 The Game Max RF RGB Controller offers great control over your Game Max RGB Fans and LED strips. Using Radio Frequency instead of Infer red this give easier control from the handset. 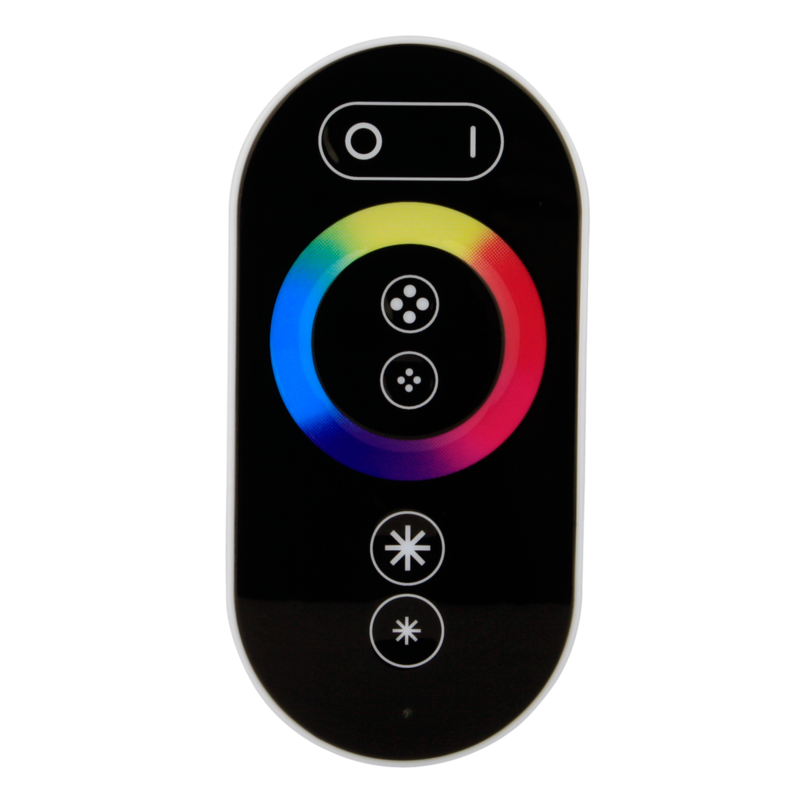 The handset also offers touch control and accurate colour changing of your system lighting at your fingertips. 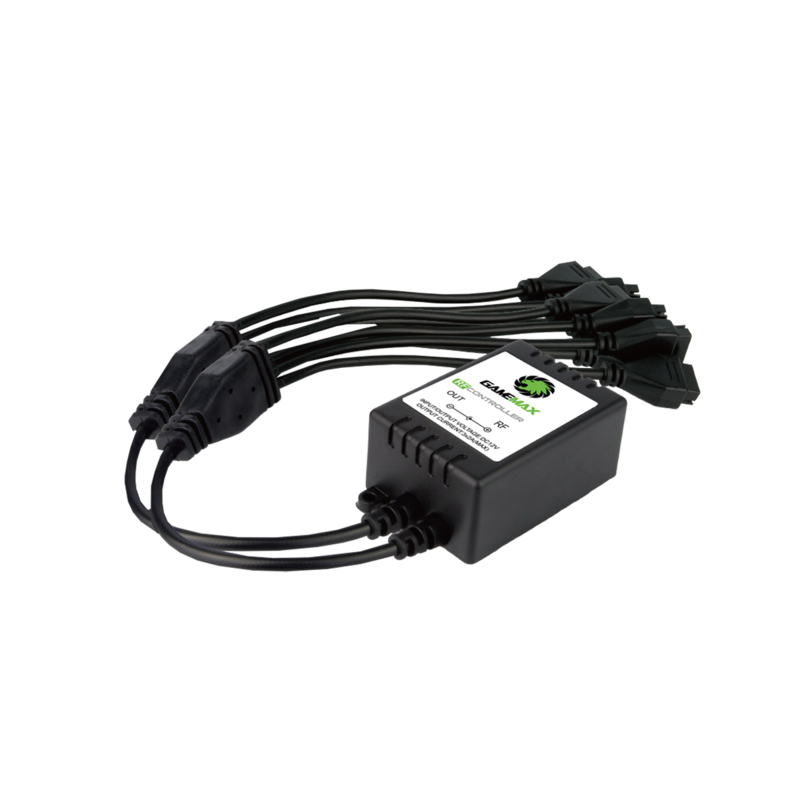 Easy connection hub makes this a simple task of connecting your fans and LED strips (Fans and Led strips sold separately). The 30cm long Flexlight RGB band has 18 integrated LED Lights and the 5050 chips that powerfully light the very last corner of your case with intense light. There is 7 colours to choose from they include Red, Blue, Green, Cyan, White, Purple and Yellow. The use of LED’s makes the band extremely power-efficient and cool-running. 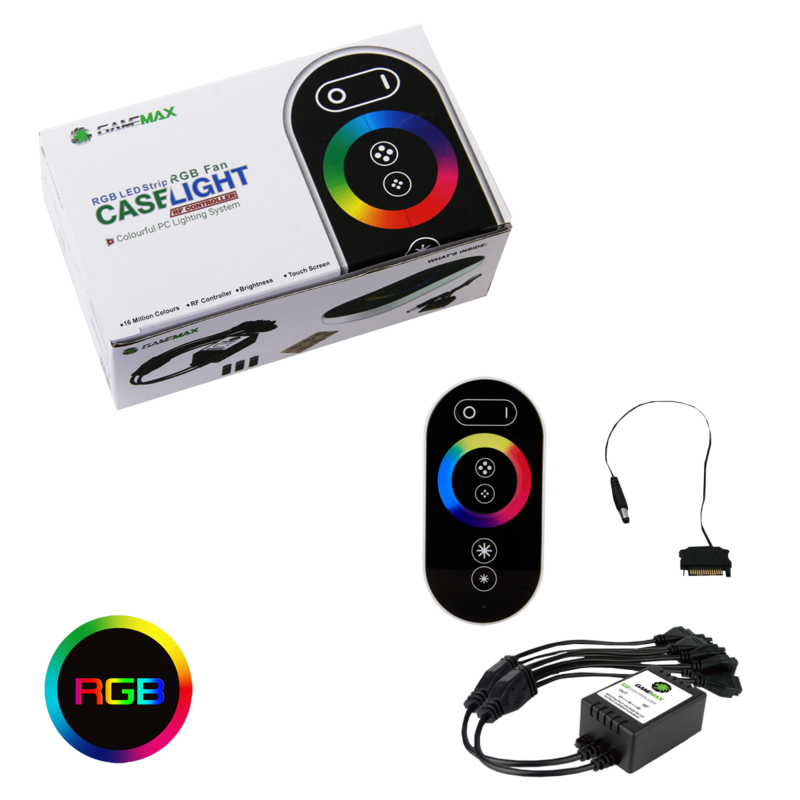 The Flexlight is also water resistant and can withstand strong shocks. The quality of these bands is absolutely outstanding, which is the reason why they are so versatile and durable! 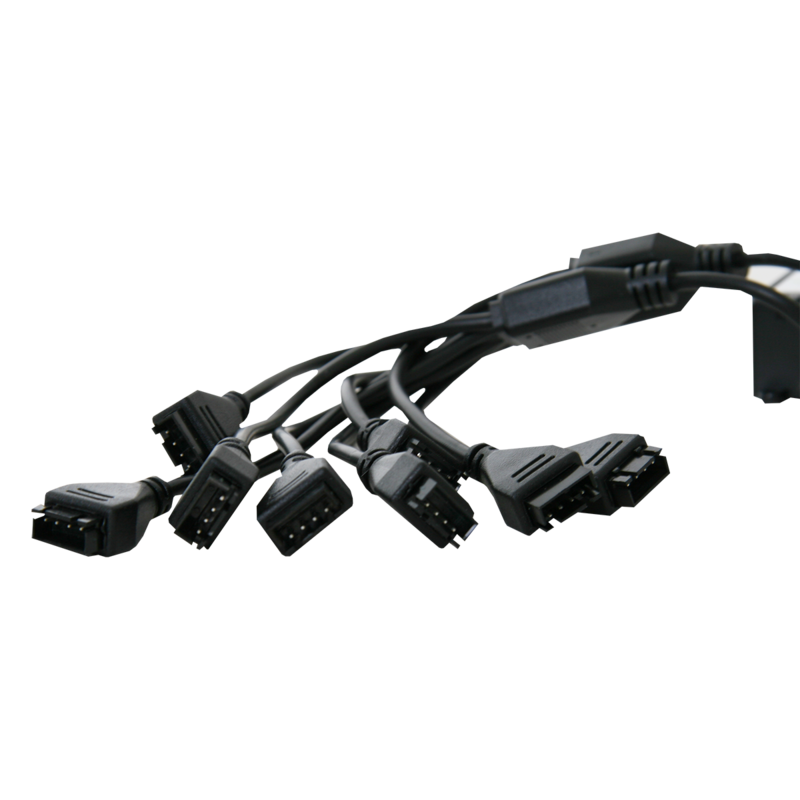 Please Note – The Game Max RGB LED strip is not compatible.